Here's a question for you: does color enhance old photos, or destroy their magic? 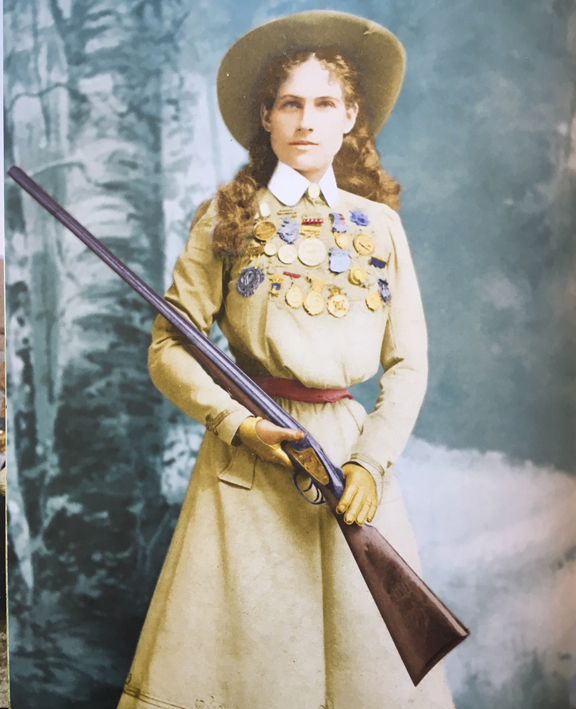 This is a colorized image of Annie Oakley, from a new book "The Wild West In Color" by John C. Guntzelman. The name "Little Miss Sure Shot" allegedly came from Sitting Bull, who met the young sharpshooter in 1884. She toured Europe and performed for Queen Victoria and shot a cigarette from the lips of Kaiser Wihelm II. The photo is from 1899. I enjoy a well-colored old photo enabling me to study the clothing and other details.